Melody, poetry, soul, hip-hop, and rap are his forte. Experience Dermot Kennedy as he delivers these musical and poetic elements in a live show that offers a dynamic range of energy starting off from the intimate to soaring and then escalating on to electrifying and explosive. 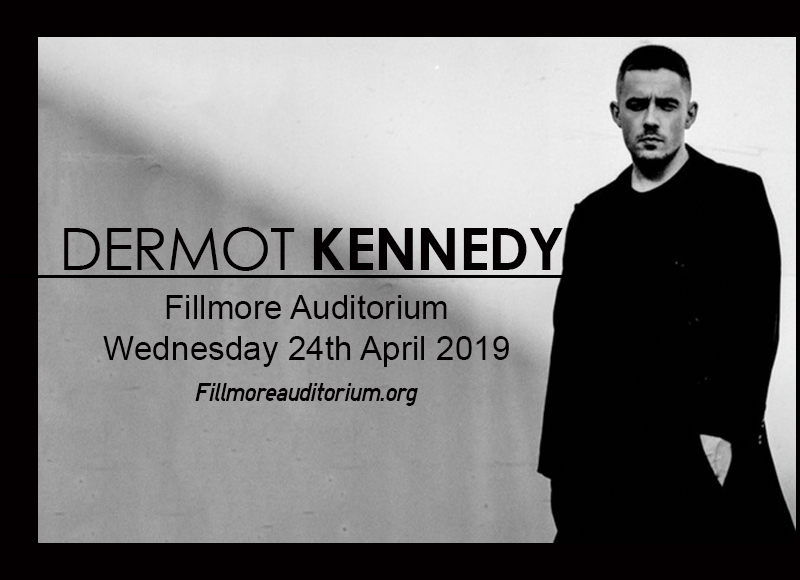 This Irish singer-songwriter from Dublin is due to hit the stage on Wednesday 24th April 2019 at the Fillmore Auditorium. His massive following online transforms into a colossal crowd that will waste no time in booking tickets to catch Dermot Kennedy live. If you don't act quickly, tickets may run out soon. Book your tickets now! Singer-songwriter Dermot Kennedy starting making music in his teens, deeply inspired by powerful poetry, pop, folk, electronic, rnb, and later on, rap and hip-hop. His lyrics delve on extremes –love and heartbreak, joy and pain. His musical styles also come from opposite poles — he can stutter with rap and hip hop rhymes one moment, then render soulful yet powerful and soaring vocals the next. Audiences readily relate and emote to his lyrics that depict real-life experiences, thereby establishing instant connection and engagement, online and onstage. Dermot Kennedy debuted in 2010 with the EP, 'Dancing Under Red Skies'. But it was not until 2016 when he skyrocketed to stellar status when his breakout single "After Rain" racked up 20 million streams on Spotify. In 2017 he followed this up with the EP, 'Doves and Ravens', featuring the singles "Boston" and "Moments Passed". His other notable singles include "An Evening I Will Not Forget," "Glory" and "All My Friends." Dermot Kennedy continues to rise up the ranks of stardom, as his legions of online followers are now getting out of their seats and getting up on their feet as Kennedy hits the live stage. It's time you do the same. Hit the 'buy tickets' button, book your tickets, and have a blast!